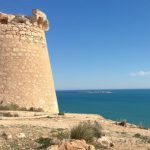 Los Arenales is another stunning stretch of beach that has received the Blue Flag award for its clean sand and clear sea. 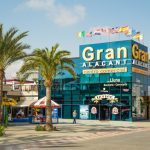 As well as numerous beach bars and sun loungers for you to enjoy, Los Arenales has a lot of restaurants, bars and clubs offering food and music for all tastes. Why not sample a traditional “menu del dia” or try some tapas washed down with a small beer. 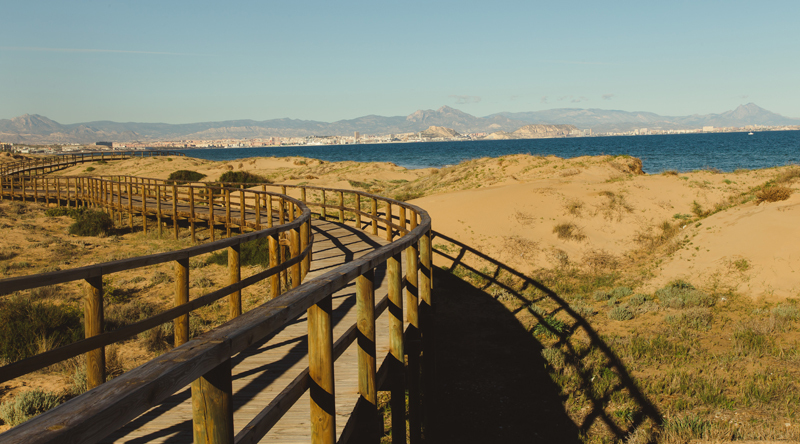 Los Arenales also boasts a lovely palm tree lined promenade where, out of season, you can see lots of locals enjoying a roller blade or bike ride with friends and family. In the summer months there are a number of stalls open selling various products from crepes to clothes and also a small area with rides for the kids to enjoy. As you walk along the promenade and beach you will notice a number of small parks for the kids to burn off some steam. At the end of the promenade on the beach is a large climbing frame for both adults and kids to indulge in some climbing fun. Another bonus is the availability of free wifi in this area.